Even as women activists are showering praises on Bindu Ammini and Kanakadurga, the two women who entered the Sabarimala Lord Ayyappa temple on 2 January, for the courage they displayed in defying the right-wing outfits opposing the entry of menstruating women in the temple, they unable to respond to the adulation. Both Bindu and Kanakadurga, who left the hill shrine immediately after the darshan are unable to return home due to the statewide protests mounted by the pro-Hindutva outfits. The two are now believed to be holed up in a secret location under police protection. They had planned to convene a press conference on Wednesday to share their experience with the media. However, the police forced them to cancel the meet on security grounds. The cops later took the two, who hail from north Kerala, to an undisclosed destination through another route. According to sources, their current whereabouts are not even known to their family members. KV Hariharan, Bindu's husband, said that he was not even able to communicate with his wife as she is not allowed to use her mobile phone. “It won’t be possible for her to communicate with anybody or return home until the protests subside. I don’t think the protests will end soon,” he added. The police are not revealing any details about the two women since most women who attempted to enter the temple earlier faced the wrath of the protesters and the houses of many of them had come under attack even after they abandoned their move to visit the temple. Bindu’s house at Koyilandy in Kozhikode district and Kanakadurga’s house at Thattakam in Malappuram district too had witnessed similar protests when they made an aborted attempt to enter the temple on the eve of Christmas. The protesters had thronged their houses after news about their entry in the temple came out on Wednesday, and staged sit-in protests there. More than 100 police personnel have been deployed at the houses of the two women to foil possible attacks. A senior officer at Kozhikode said that they were maintaining a close vigil at the houses and their surrounding areas. The officer, who did not want to be identified, said that the situation was not safe now for the women to return to their homes. The protests are likely to continue for a long time if the widespread violence reported from across the state during the hartal is any indication. Though the government had stepped up security and made elaborate arrangements to ensure normalcy in the state, the hartal supporters went on a rampage attacking shops, vehicles, mediapersons and political party offices in several parts of the state. However, the journey of Bindu and Kanakadurga to Sabarimala was trouble-free as it was meticulously planned and executed by a four-member team of men with the help of a special police force. According to a report in The Times of India, the team, which included a psychologist, had prepared the ground for the visit after careful observation of the area, movement of the devotees and protesters, crowd temperament and the sleeping time of devotees. The Thrissur-based team accompanied Bindu and Kanakadurga to Sabarimala. Escorted by 20 to 30 policemen in civil uniform, the six left from an undisclosed location to Sabarimala around midnight on 1 January. They reached Pamba at 2 am on Wednesday and entered the shrine after a two-hour trek. Quoting a member of the team, The Times of India's report said that the police had taken them through the back gate, where there were no protesters at that time. Bindu and Kanakadurga had approached the team for support after they were forced to abandon their first attempt on 24 December. The team gave them the go-ahead after conducting four trials. 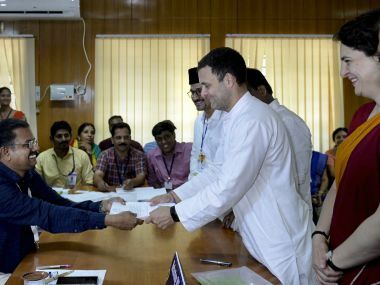 The two had also gained an idea about the route to Sabarimala and the response of the devotees and protesters present there during their first visit. Kanakadurga said that they had faced a mob of protesters the last time as they had announced their visit. Moreover, they had covered their faces this time to escape close attention. The police escorted the women in plain clothes. The two trekked their way to the hilltop along with other devotees without being noticed as the devotees weren't expecting women to climb up the temple premises in the wee hours. 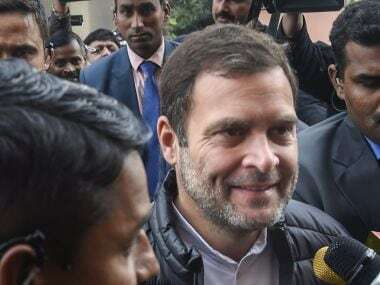 The BJP and the Congress-led opposition United Democratic Front (UDF), which have been opposing the entry of the menstruating women in Sabarimala, refused to accept the entry of the two women in the hill shrine as a mark of the faith. UDF convenor Benny Behnan said that the visit of Bindu and Kanakadurga to Sabarimala on Wednesday was an "operation sponsored by the Left Democratic Front government". “The two women came camouflaged in darkness and the police gave them protection. 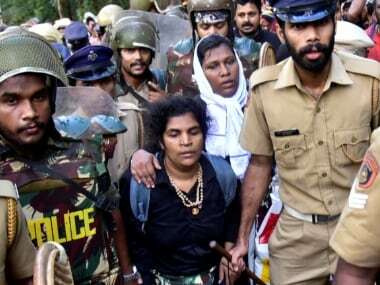 The two were Left activists, who were taken to Sabarimala to further the ruling front’s agenda. Their visit will not help women in exercising the right granted to them by the 28 September Supreme Court verdict which opened the doors of the temple to young women,” he said. Meanwhile, Kerala chief minister Pinarayi Vijayan denied that the state government had given any special consideration to the two women. 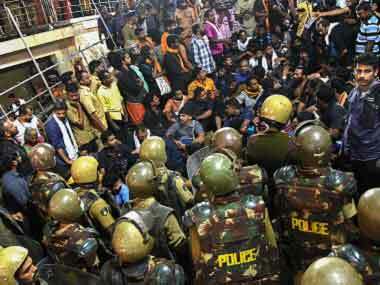 "They were not airdropped to Sabarimala but went as normal devotees. Kanakadurga and Bindu were given protection after they sought security to visit the shrine," he told reporters in Thiruvananthapuram on Thursday. Vijayan pointed out that none of the devotees raised any protest against the visit of the women. "The BJP and the Sangh Parivar launched the protests for their political gains. They launched the protests several hours after the reports about the women’s visit to Sabarimala appeared in the media,” the chief minister said. 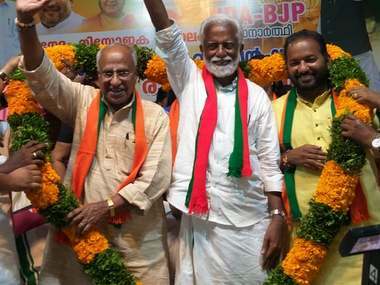 Vijayan also said that the BJP and the Sangh Parivar were unleashing violence in the name of protests as part of their move to create communal conflicts in the state and gain political mileage from it. Asserting that his government will not allow anybody to take the law into their hands, Vijayan said that the government will continue to provide protection to any woman who comes forward to visit the Sabarimala temple. Women activists have termed the entry of the two women — aged below 50 years — in Sabarimala as a historic moment that will inspire women to fight the gender discrimination meted out to them in the society. Advocate Asha Unnithan said that the two wouldn't have been able to enter the temple had they not shown the courage to defy the protesters. “The fact that they were supported by the police or that they entered the temple during darkness was immaterial. This does not reduce the importance of the act. The support extended to them by the government is not a favour, but their right. Bindu and Kanakadurga have succeeded in upholding the values of the Constitution. This is a historic moment in the history of Kerala,” the activist said. K Ajitha, activist and Anweshi, a women’s organisation based in Kozhikode, said that the two had upheld the honour of Malayali women. “I am glad that the women who finally entered the temple are from Kerala. This has quashed the notion that women are weak,” she added.